Veronica, Stoker, and Tiberius visit a castle on an island off the coast of Cornwall. A disappeared bride, a poison garden complete with rare butterflies, smuggling caves, hidden rooms, a healthy supply of suspects, and plenty of angst from the past figure in the latest Veronica Speedwell mystery. Deanna Raybourn does not disappoint. It's another winner. We know they will solve the crime, but will Stoker and Veronica finally say those fateful three words to one another? 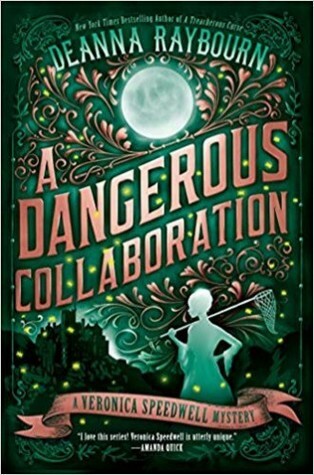 Sign into Goodreads to see if any of your friends have read A Dangerous Collaboration.